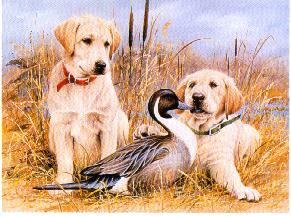 Jim Killen's Limited Edition Prints "Great Beginnings"
Artist Jim Killen has captured the special feeling America has for these four favorite sporting dog puppies. 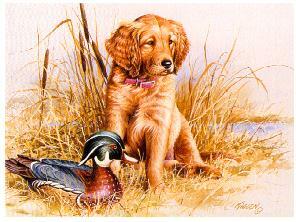 "Golden Retriever" ___550 artist proof signed and numbered edition. 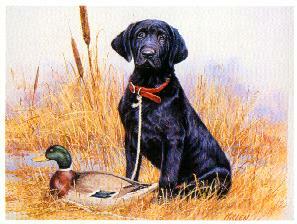 "Black Labrador"____550 artist proof signed and numbered edition. 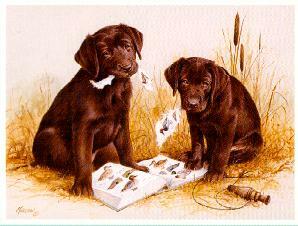 "Chocolate Labrador"_550 artist proof signed and numbered edition. "Yellow Labrador"___550 artist proof signed and numbered edition.